Panasonic Sets World Record with Adorable Evoia Robot! Move over Energizer Bunny! There’s a new, super-enduring battery mascot in town… and his name is Evoia. Panasonic recently drove the extremely adorable Evoia for 24 hours straight to set a new world record with an incredible distance of 23.726 km! 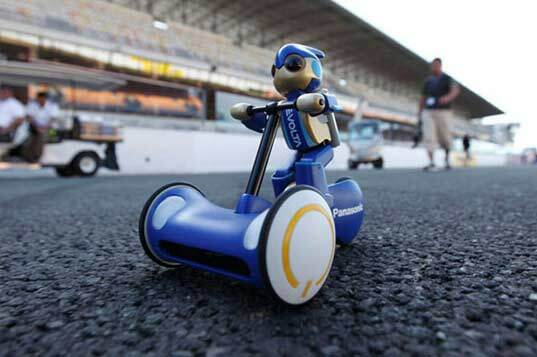 Designed by Tomotaka Takahashi, the lovable robot navigated his way around the course by following an infrared beam. And the super efficient Evolta is much better for the environment than regular batteries — although ideally we would prefer if Evoia was powered by rechargeable batteries. I think thats meters not kilometers. Or the robot went almost 1000 km an hour.. I think that's a bit off scale. (wieeemaaannn) ?? 23.726 km in 24 hours is slightly less than 1 km per hour. Move over Energizer Bunny! There's a new, super-enduring battery mascot in town... and his name is Evoia. 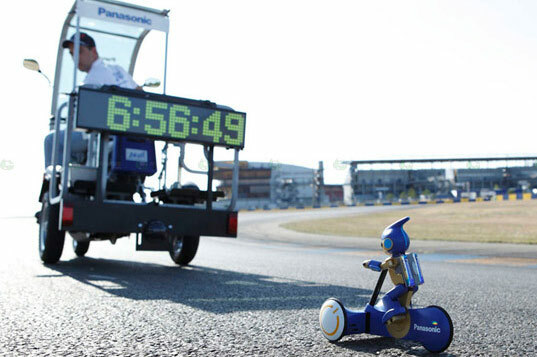 Panasonic recently drove the extremely adorable Evoia for 24 hours straight to set a new world record with an incredible distance of 23.726 km!